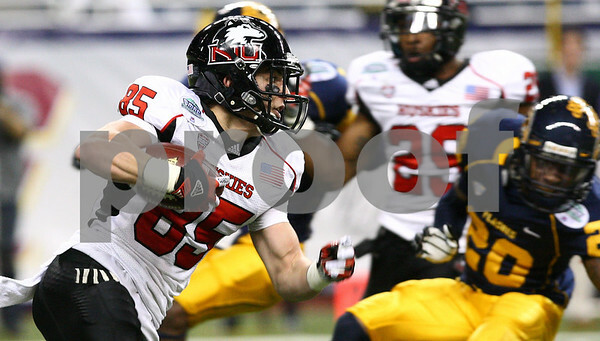 Northern Illinois wide receiver A.J. Sebastiano (85) returns a punt in the second quarter. The Northern Illinois University Huskies defeated the Kent State Golden Flashes 44-37 in the MAC conference championship game at Ford Field in Detroit, Mich. on Friday, Nov. 30, 2012.